This is a restaging CT of a patient after resection of the bladder due to carcinoma and formation of neovesica sec. Brücker. It shows necrotic hypodense metastases in the liver, one metastasis contains inclusions of gas. 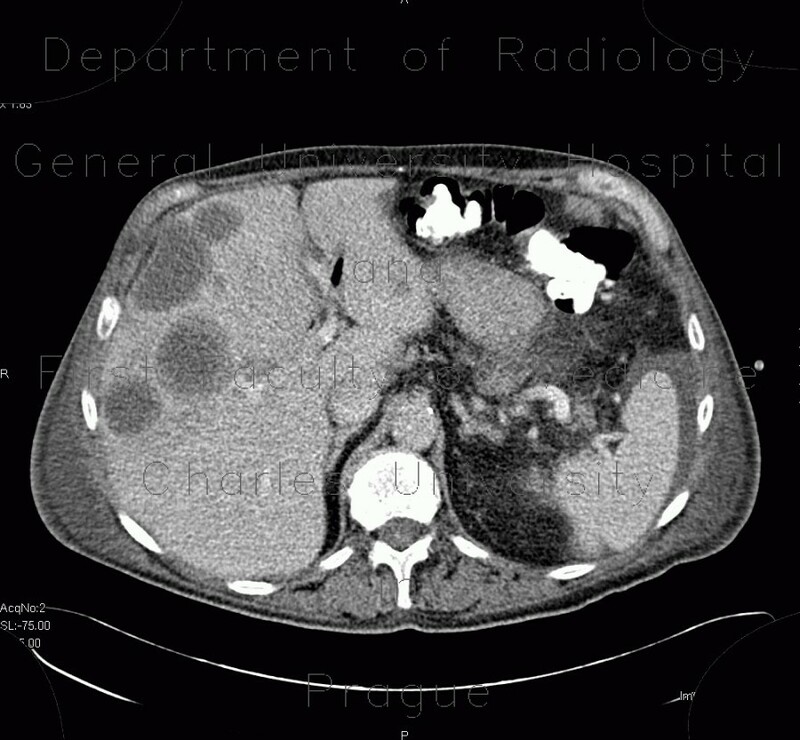 There are also metastases in the abdominal wall with enhancing wall and necrotic center.